I need to find an official site. I'd like to know if they are in production and how many they have sold of them and information like that. If they keep making them I'll keep buying them. Pretty good flick. I'd rate it a 7/10. Goes pretty in depth from the albums Hot Rats thru GW, with a lot of focus on life on the road with the Flo n Eddie band. Wish it would have had stories about the Petit & Grand Wazoo touring bands, instead of focusing too much on say the Lennon/Yoko appearance at Fillmore. After the Grand Wazoo album info, it sort of jumps right to the Stockholm '73 video footage and story of that band with nothing about the '72 tours. The "clone" music is slightly annoying, but there's enough of real FZ music spread throughout. The old cartoons & "roaring 20's" dancing girls footage is interesting as video to FZ's songs. The film's "critics" assessment of JABFLA is pretty retarded. First off, they call it the quick follow-up to Fillmore, which it wasn't exactly. And 2nd they seem to view BtM & Magdalena as filler/garbage. Idiots. Yeah they really didn't seem to like that album. It's my favorite of the Flo & Eddie era. It has the definitive CAV on it. Magdalena is an awesome song. I guess they were being stuffy old farts. I wonder when we finally get to the late 70's what they'll say about Broken Hearts and songs like that. I also wonder if there will be an entire volume on the Lather saga alone. Funnily enough I like BTM and Magdalena better than anything else on the album. Overall JABFLA is definitely in a similar sonic mode as Fillmore: a stripped down, more rockist version of the MOI sound. No instruments other than guitars, keys, bass and drums on it. Which I suppose in itself is not so bad, but fall as it does squarely between the MOI with Gardners on horns and the lineups with Sal Marquez et al, it does sound kind of bland and lacking in flavour. Guess I don't like the Hammond/Rhodes based two keyboard sound as much. Check out the post-"Montana" (but not pre-"Dupree's") improvisation from the 1973/03/11 Arlington concert to see how well the interaction between both George and Ian (the latter apparently on acoustic piano) could work out with the right instrumentation and the right rhythm section. Check out the post-"Montana" (but not pre-"Dupree's") improvisation from the 1973/03/11 Arlington concert to see how well the interaction between both George and Ian (the latter apparently on acoustic piano) could work out with the right instrumentation and the right rhythm section. I like the look of this latest documentary. Some knobhead on the comments listing for the trailer on Youtube has actually asked what the first tune is, obviously thinking it was a Zappa original. What a turkey. Was it Jaypfunk? If he reads that he'll explode and kill a child. I guarantee it. Gonna give this another watch at some point soon. 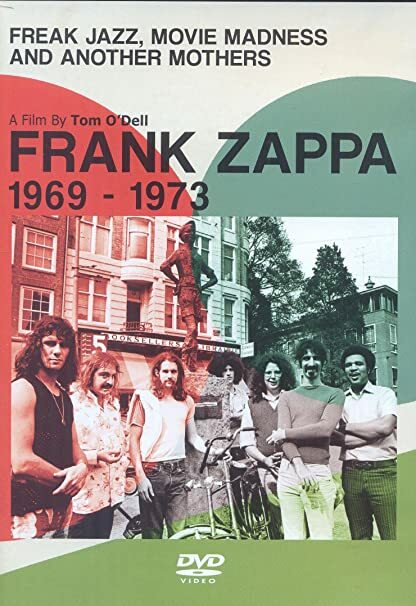 This and Future music are my fav Zappa docs. I miss Peefeyatko, that's off of youtube now. I watched this a couple of nights ago. I have to agree with Fred, the faux-Zappa music is pointless and off-putting. Would have been MUCH better without it. Obviously NOT a ZFT-approved release. Some excellent information and good, if un-credited visuals though. There is enough REAL Zappa music to in it to make it worthwhile. and some great insight from George Duke and Sal Marquez. Ben Watson was good too, and I liked his book, but FZ was NOT a Marxist, and nobody cares who Teodor Adorno was or how he related to a discussion of our # 1 musical hero. Ben Watson is fine but usually reads way too deep into things. The one interviewee I always roll my eyes to is that white haired posh guy who talks really really slowly. His name escapes me right now. That white haired guy is Alan Clayson who I believe the ZFT has green lighted to write the official Zappa biography.